Today we are looking at Mini Messages and Mini Tags Creative Cuts. These two were designed to be used together. For today's project, I wanted to highlight the mini florals in this set and how you can build a really pretty pattern from them. 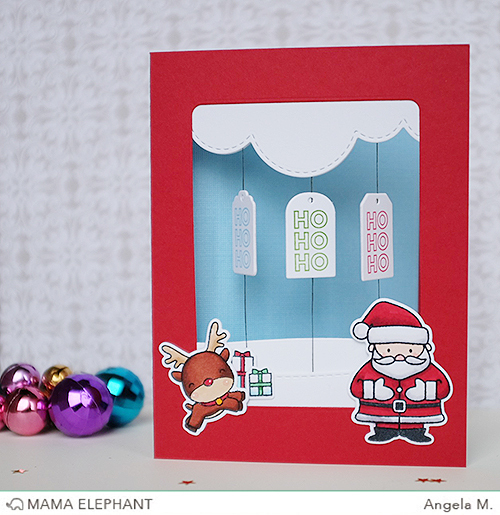 Yesterday, I introduced the new Treat Toppers Creative Cuts dies. With Thanksgiving coming up, I thought they would be perfect as place cards too! 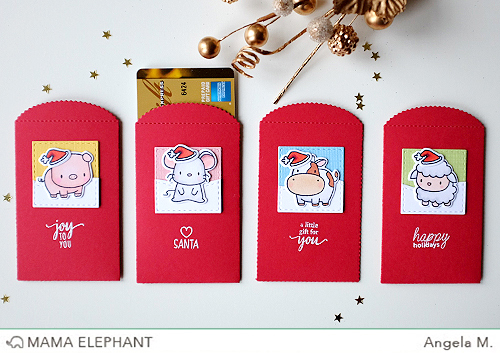 The handle openings were convenient for me to attach the cute mini tags. I love how rustic and Fall-ish they look! Spinner cards are all the rave now! It sure adds a fun factor of movement! Here Angela stamped the sentiment HO HO HO from Mini Messages onto some itty bitty tags from Mini Tags in different colors on both sides for a flashing effect when it spins. 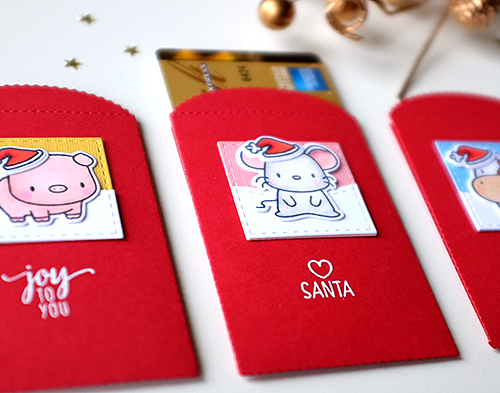 Angela also put together some gift card holders by using Lucky Envelope and embossing mini holiday wishes from Mini Messages. 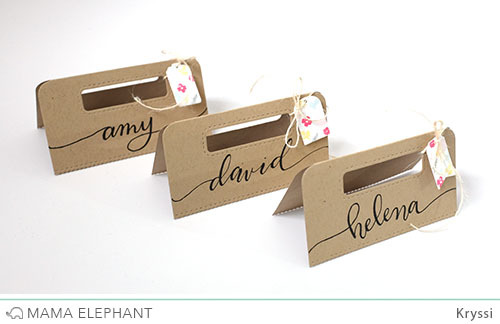 These sentiments are so perfect for small packages! AAACK!!!!!! THIS one os a MUST HAVE! So adorable! Great to have on hand! Great design, guys!! LOVE these littles! I NEED them, lol! 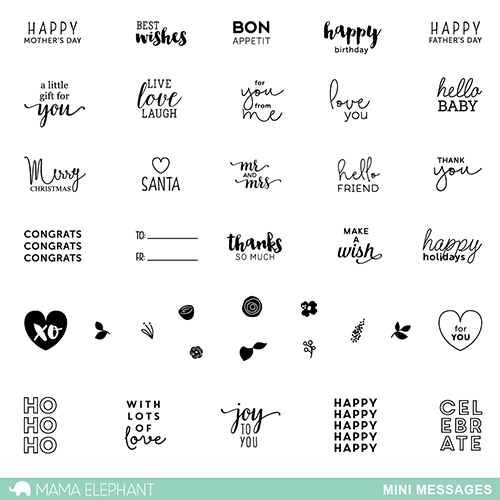 Sooooo cute, a must have for every stamper! wow... these are perfect... sometimes I have just a tiny space left on my creation and this will def fit the bill. can't wait. These Lunar Animals and Mini Messages are all so cute. I love Angela's Lucky Envelopes. And can Kryssi come write all of my Thanksgiving place cards?